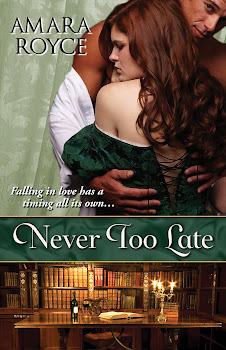 As I've mentioned previously, I find it tremendously freeing to write historical romances. While I am slavishly devoted to maintaining historical accuracy, I feel a great deal of flexibility and creativity in the stories I tell. And I find it remarkable not only how inspiring historical details can be but also how directly they relate to our modern world. Yet another reminder for me is the history of paleontology. In fact, paleontology (like so many other -ologies) was functionally born in the 19th century. Fossil-collecting existed long before the 19th century, but the the 1800s marked the finding and cataloguing of prehistoric fossils in particular. The term "dinosauria," meaning "terrible lizard," was first coined by British scientist Richard Owens in 1841. While misconceptions and misinterpretations of the fossils were plentiful, the study of dinosaurs and other prehistoric fossils blossomed during the Victorian period, forming foundation of our knowledge about dinosaurs and other prehistoric reptiles today. So, of course, dinosaurs and paleontology will make their way into one of the upcoming "Great Exhibition" novels, although the Crystal Palace dinosaur statues arrive a bit too late for me to include them specifically. No, I'm certainly not the first historical romance novelist to reference Victorian paleontology, but I look forward to it nonetheless. What I mean when I say "Happily Ever After"